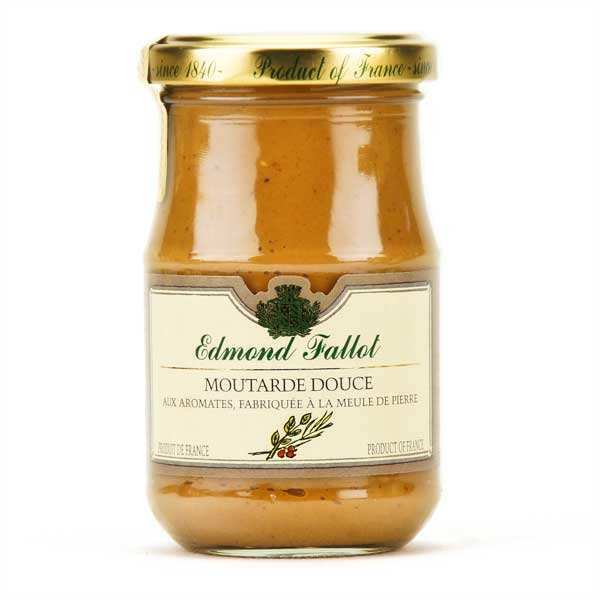 This mustard is made in accordance to traditional methods by the Ets. Fallot at Beaune in Burgundy, mustard-maker since 1840. Seeds are selected for their quality and are ground as in the past with millstones (flint). Millstones avoid damaging the heat-sensitive seeds and keep their flavours. 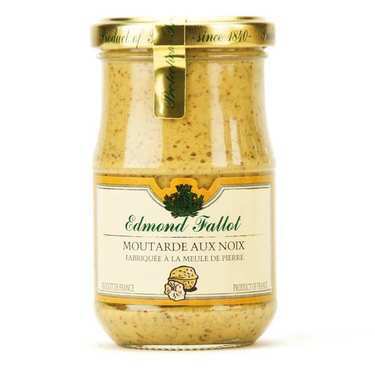 water, vinegar, mustard seeds, mustard teguments, aromatic herbs, salt, sugar, antioxidizing agent E224, spices, citric acid.